Sharing similar attributes with the Birch Vessel, the Birch Vase is done in a more vertical vase form. 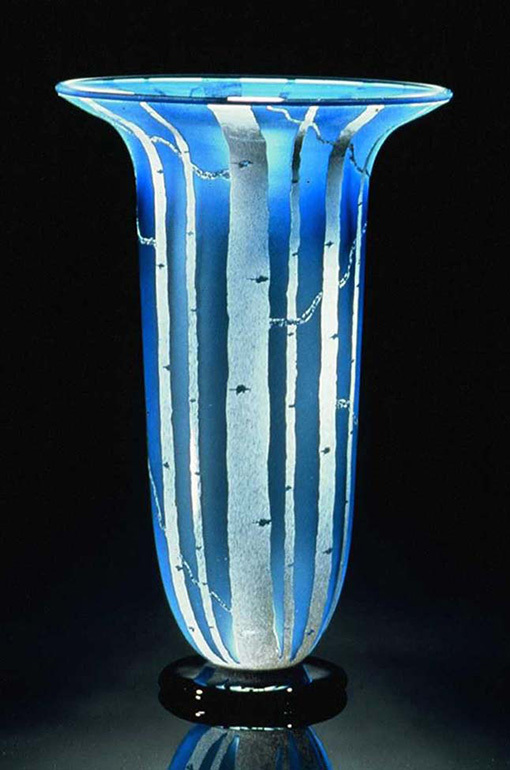 This hand blown glass vase embodies Bernard’ s sensibility with naturalistic motifs. Cutting away the outer layer of colored glass through sandblasting, the inner transparent color is revealed. Added details are carved by hand.